On my way back to NY, I had a stop over in Madrid for a few hours. Marta and Jose whisked me from the airport to take me to a dream lunch of my favorite Madrileño dish- Bocadillo de Calamares. 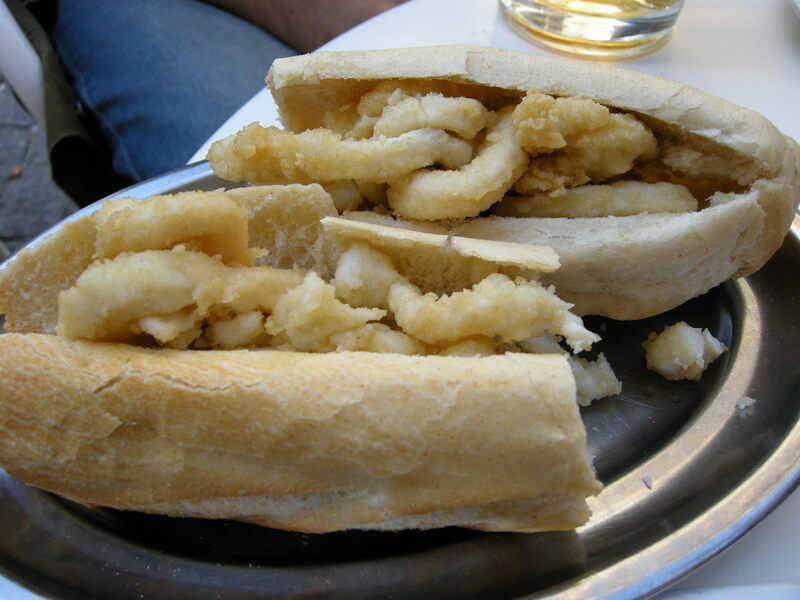 Basically, a sandwich filled with fried calamari. GENIUS!!! It truly is a priceless invention- nothing could quite quantify how happy this makes me. 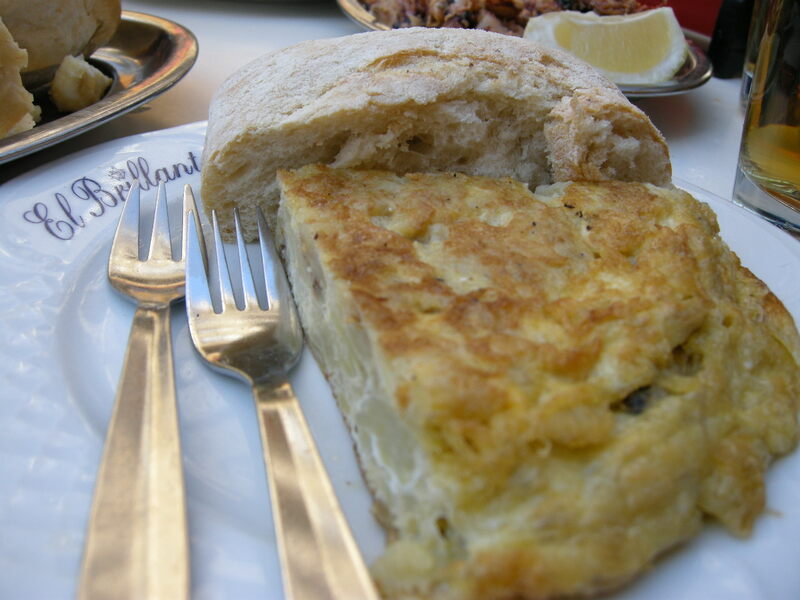 El Brillante, above, is famous for this dish, although you can find it at any bar in Madrid, more or less. 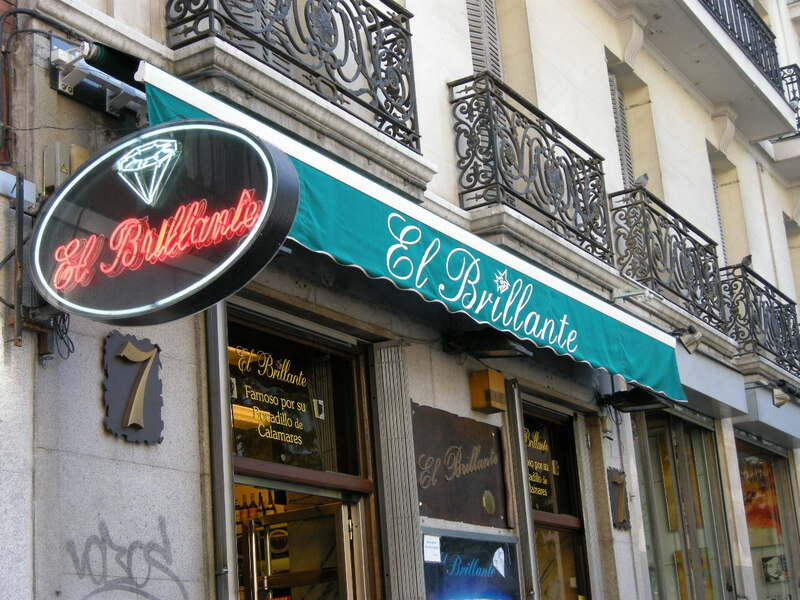 But El Brillante’s tagline is “Los mejores calamares de Madrid”- translation: the best calamari in Madrid. So you gotta go. Fluffy bread filled with fried calamari, nothing else. It’s gorgeous. 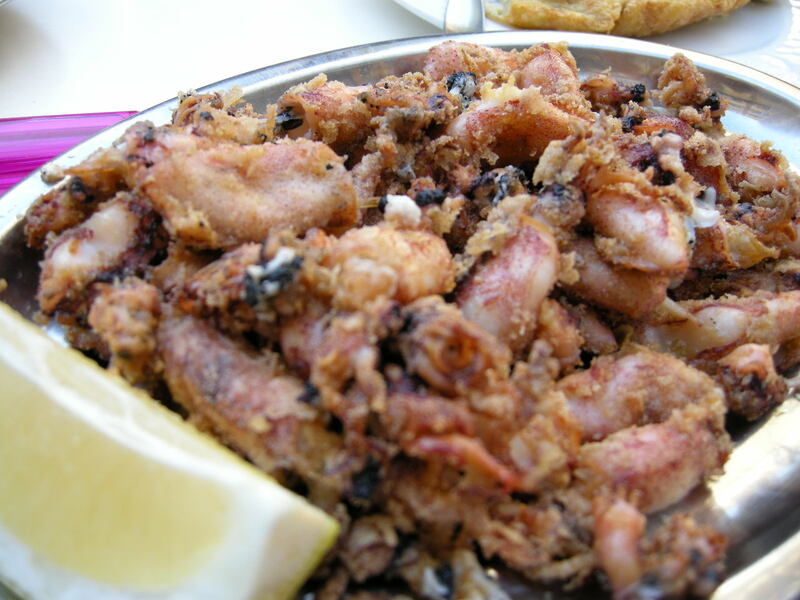 Little squid, battered and fried. This wasn’t as good as I was hoping, but maybe that’s just cause I was in bocadillo heaven. Can’t leave Madrid without having a proper tortilla! 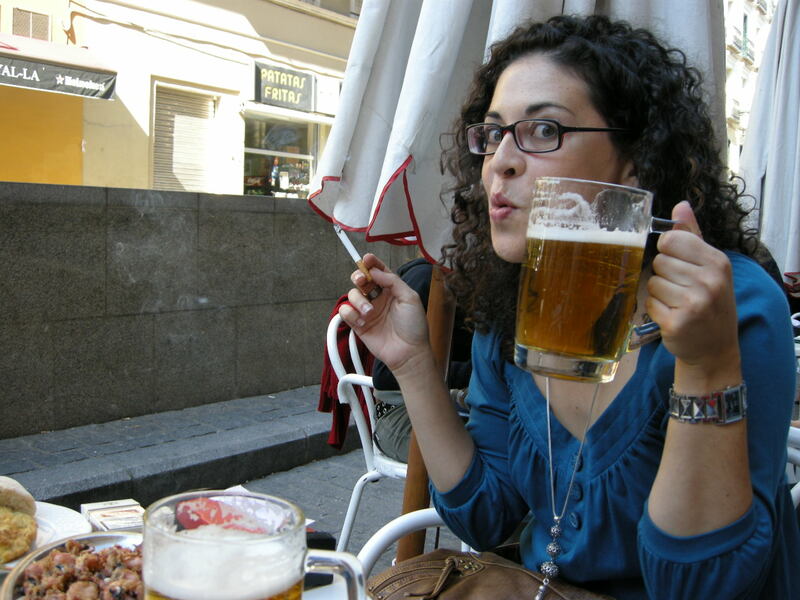 And that’s it- my trip to Italy and Spain in a nutshell. All good things come to an end, I suppose. Thanks for indulging me, and letting me go on about a trip I took months ago (I lost all my pics when my computer broke, I’m tellin ya!). I’m in California now- I’ll try to deliver my eats in REAL TIME- I promise. This entry was posted on February 25, 2008 at 1:13 pm and is filed under *Kayoko, Madrid, Mangiamo 2007, Restaurant, Sandwich, Seafood, Spain. You can follow any responses to this entry through the RSS 2.0 feed. You can leave a response, or trackback from your own site. BREAD STUFFED WITH CALAMARI. It’s like someone read my mind!!! I DO want!